The town of Carpi honours one of the greatest fashion photographers of all time with an exhibition showing shots never exhibited before in Italy. A corpus of over 50 photographs, selected from the famous exhibition “A gun for hire” which collects the images shot by Helmut Newton for the promotional campaigns of Blumarine between 1993 and 1999. Blugirl FW 2016 2017 fashion show runway at the Russian Museum of Ethnography at the presence of important guests, buyers and journalists. Many were the appointments that involved Anna Molinari, among which the meeting with the Italian Consul in St. Petersburg, Leonardo Bencini. 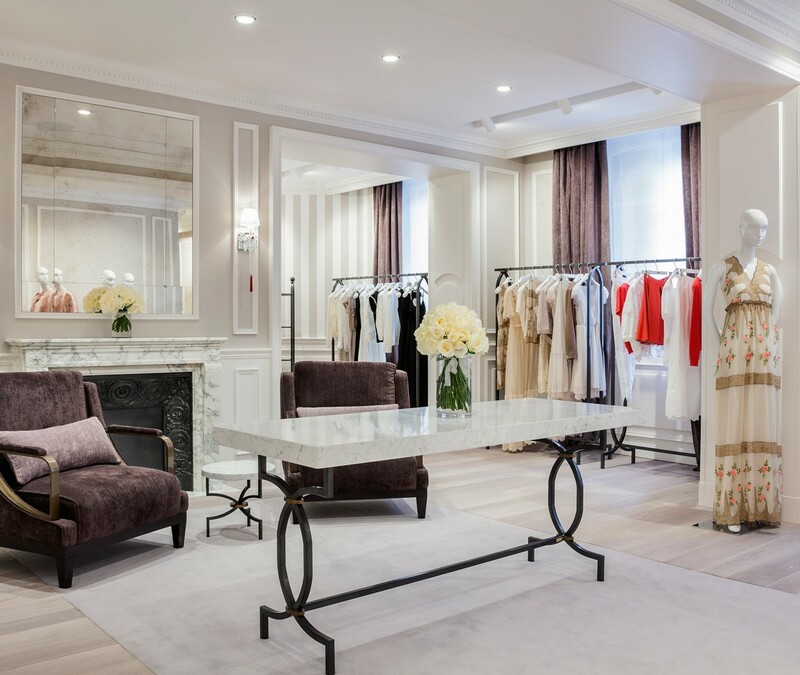 Inauguration of Blumarine historic boutique (56 Avenue Montaigne, Paris 8e, 300 m²), renovated in occasion of Paris Fashion Week. This boutique is the first one to stand out from the other worldwide mono brand stores for the choice of the new concept inspired by a revisited neoclassical style that pays tribute to the city of Paris.